“America, you should be ashamed,” Bice concluded of the nation’s cowardly refusal to confront its deep-seated racial prejudices, which has now played out across centuries marred by slavery, lynching, segregation, hate crimes, denials of basic human rights, beatings and deaths at the hands of police officers, and being treated rudely at restaurants. Unfortunately, after amassing a system-overloading “800 likes,” his clarion call was soon deleted, forcing Bice to repost it as a screenshot, along with a threat of legal action against Popeye’s. Bice also issued the equally alarming threat to delete the “communist media platform” that is Facebook, which had now become complicit in his systematic oppression. While Bice has yet to make good on that part of the revolution, he was soon given another platform via FOX 5, where he sought redress for his public embarrassment by crying on television about being called “white,” “Bo-Bo,” and other hurtful slurs. “If tables had been turned and I used something as insensitive as to say something like that… I would be boycotted, there would be people not buying my albums, there would be people coming and picketing at my shows,” said Bice, whose most recent album, 2010’s 3, may not have moved all 11,000 of its copies had he, for example, derided Black Lives Matter protesters as “chaos mongers” or suggested that all Muslims are terrorists, in a year when he still had albums to sell. Fortunately, such statements seem as unlikely to derail his career as his two, early-2000s arrests for cocaine and marijuana possession, charges that were ultimately dismissed (and surely would have, again, had the race tables been turned). That Bice could do this for a girl—who was black—yet still find himself so callously described as “white,” he believes, only goes to show that there’s simply “NO STANDARDS” in America anymore. But on the agora for the free exchange of ideas that is Bo Bice’s still-not-deleted Facebook page, at least, Bice welcomes the opportunity to at last have an “adult dialogue,” so long as it doesn’t resort to such petty insults. In addition to finally getting America to talk openly about race, Bice also got the apology he was seeking from Popeye’s franchise owner Mack II, who assured Bice that “corrective action” was taken against the employee who had insulted him. Bice made it clear that the employee in question “wasn’t fired, and the reason she wasn’t fired is because I asked … her manager not to do so,” a benevolence he bestowed upon this woman even though she had briefly made him feel so small and trapped within an institutionalized racial power structure beyond his control. Consider it an expression of gratitude for the opportunity we now have to talk about this inequality, all through the prism of Bo Bice. 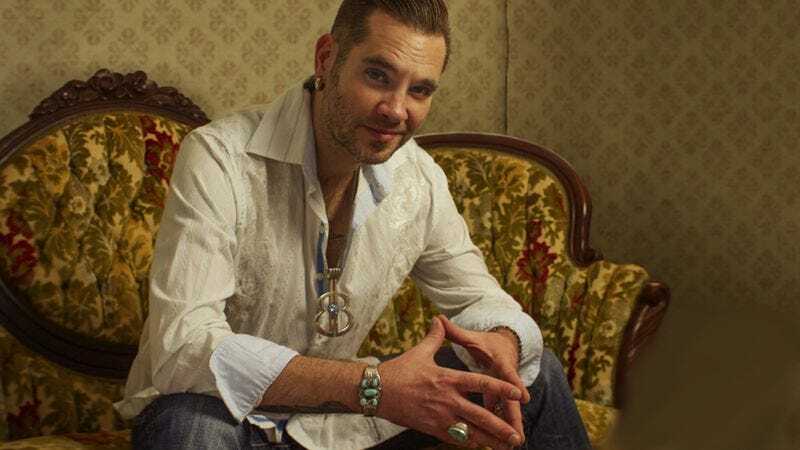 On a tangential note, Bo Bice was hospitalized more than 20 times in 2005-2006 for an intestinal disorder and should maybe lay off the Popeye’s. Otherwise who will lead us through all this racial dialogue he started?